This photo was taken at on April 1st 2009. 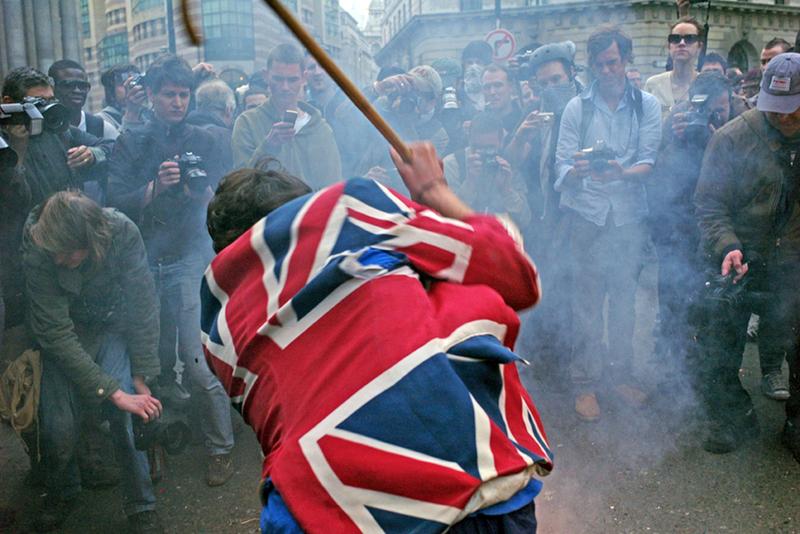 I like many other photographers where photographing the G20 protests in central London. There were more photographers than protesters, but at least I could relax in the fact I was on assignment for the New York Daily News. 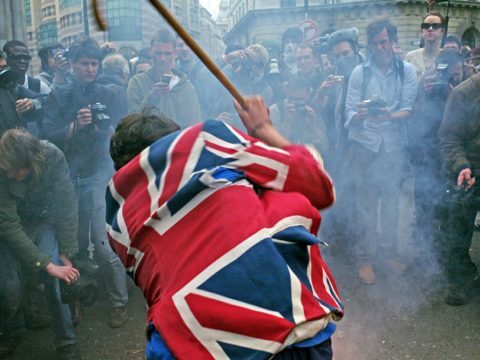 I remember getting excited when the light was getting low and watching this posh kid wearing a Union Jack blazer who began attacking a burning dummy with a walking stick. He was loving all the attention along with the worlds press. When I sent this image it was never used as someone had managed to get a photo of the Iain Tomlinson (who was unlawfully killed) and that became ‘the story’. So despite getting excited about taking this photograph, in a way, this was just another generic view of bad craziness, the frustration of youth and how everyone nowadays has a camera.